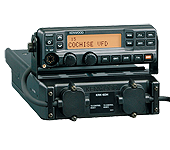 The TK-5710/5810 premium high specification heavy-duty offers conventional FM and conventional P25 digital operation for present and future interoperability requirements for law enforcement, fire and emergency services. 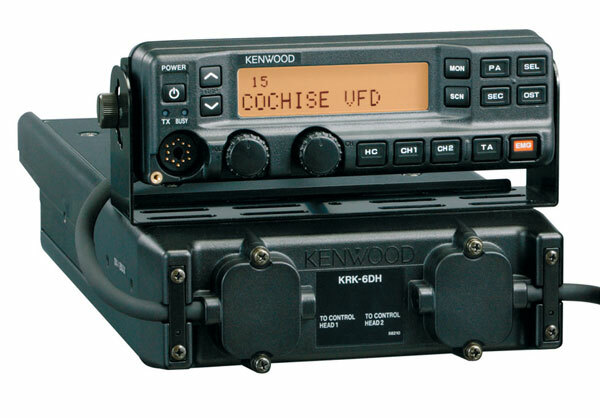 Built on Kenwood's advanced 90-Series design, the TK-5710/5810 is available in dash mount, single head and dual head remote mount control with choice of 12 or 14-character high resolution backlit dot matrix LCD. The controls and customizable PF keys provide an intuitive user interface simplifying P25 and FM operation for all user types. The P25 trunked option permits operation on local, regional and statewide Project 25 compliant networked systems. The extra large capacity and Zone programming facilitate departmental, inter-agency interoperability, mutual aid and tactical channel organization. Encryption /ANI control permits basic to high level voice security and dispatch functions satisfying homeland security and confidentiality requirements. Standardized DES-OFB and AES encryption options permits advanced secure interoperable voice communications. The DB-25 and 15-pin accessory connectors permit interface with data modems, headset/intercom systems, police motorcycle headset/PTT systems for vehicular installations or remote control termination panels for base/control station fixed installations. with KCH-14 or15 7.01 x 2.36 x 7.68 in. 7.05 x 2.36 x 9.09 in. (179 x 60 x 231 mm) 7.01 x 2.36 x 12.87 in. 7.05 x 2.36 x 14.